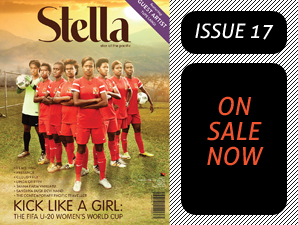 Our cover feature this issue of Stella features the talented photographer, Victoria Yarka from Color It Purple. Inside issue 5 you’ll get to see inside her purple coloured world. Victoria is an inspiration to the team at Stella magazine. Her energy and positivity, her ability to blend her Engan culture into the big city scenery of Sydney, and her constant smile keep us smiling behind the scenes. See more of this fun photography and read Victoria's interview in issue 5 of Stella magazine, Star of the Pacific.